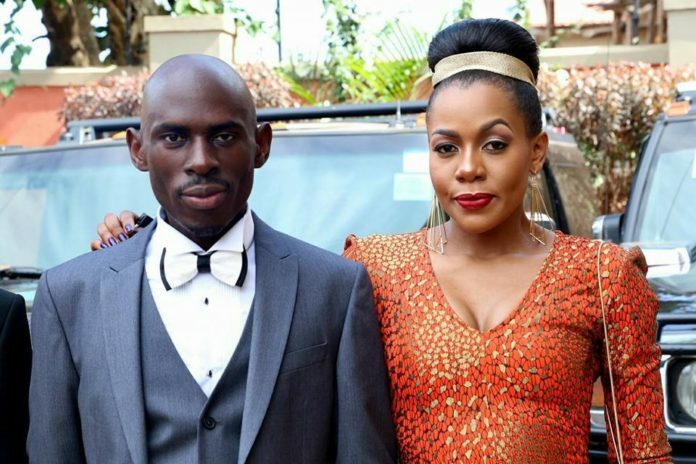 Sulaiman Kabangala famously known as SK Mbuga’s wife Ms Angella Vivienne Chebet was arrested and held at Katwe Police Station in Kampala. Ms Angella Vivienne Chebet defrauded 53m Krona (Shs20.9b) from her former Swedish boyfriend Sten Heinsoo who is now a wanted woman in Sweden. This came after Mbuga was extradited to Denmark just one week after his release from Dubai prison. Patrick Onyango, Kampala Metropolitan spokesperson, confirmed the development but said no details have so far reached his desk. A police officer who preferred anonymity said that the Directorate of Criminal Investigation (CID) in Kibuli arrested Chebet for allegedly defrauding a Swedish National. According to sources from Interpol Uganda, they said Ms Chebet has warrant of arrest on their desk. Mbuga has been jailed in Dubai prison, Awiir Central Police Station, port city on the Persian Gulf, over fraud case. And now after his release from Dubai United Arab Emirates, he had to face another fraud case in Denmark involving $2.6m (9.5b) spoilt gold deal. He has been in jail for over one year, and was released after paying off these two businessmen one from Oman and another from Dubai he had defrauded. Before he was allowed to see a judge for a sentence. It’s said the City socialite sold off his luxurious cars to raise the 1.6b he paid to these two businessmen. In 2018, Swedish Media filed a report indicating that the Swedish government had asked Uganda to help them arrest SK and wife Chebet. Uganda and Sweden don not have an extradition agreement in between. In February 2017, Ms Chebet was arrested and charged in a Swedish court, but jumped bail and returned to Uganda. It’s said SK’s family is greatly worried about their son, though government and the Danish Embassy has remained quiet about the matter.